The following is a guest post about baby essentials. If interested in submitting a guest post, please read my guest post policy and then contact me. The decision to have a baby is one of the biggest financial commitments you will ever make, one that will stay with you for the next 20, or if you’re unlucky even 30 years of your life. According to a large online newspaper the average cost of raising a child to adulthood in the UK is around £218,000, quite a staggering amount. So with all the costs involved with raising a child, it’s no wonder that people look for areas where they can possibly save money. There are many ways that we can make cutbacks to try and reduce the costs but we will take a look at those another day. Instead I’m going to mention a few kids items that for various reasons I would never cut back on to just to save a bit of money. When I first learned that the eldest of my two boys Isaac was going to be entering the world, I was truly shocked by the amount of things we needed to buy. High at the top of the priority list was a car seat because after all, we couldn’t get him home from the hospital without one. 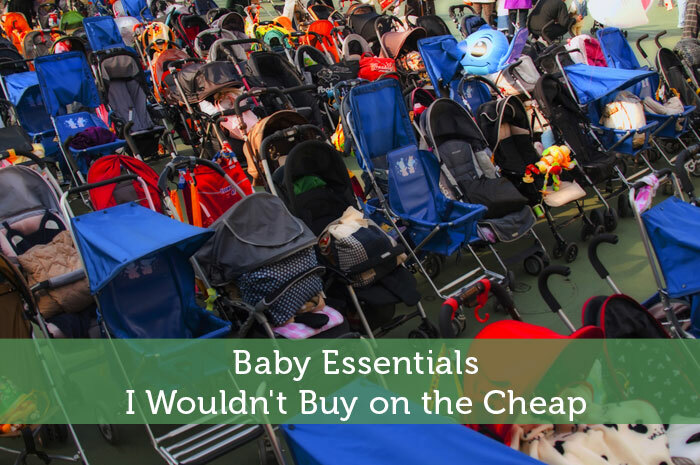 If you’ve ever shopped for a baby car seat then you will know that prices vary drastically. As with all things, when the price varies so does the quality. When it comes to the safety of a child I’m a great believer in paying for the best item you can realistically afford. The other thing that differs greatly with the price of car seats is the functionality. Some are front facing, others rear facing, some heavy, others light and the list goes on. Mrs.B and I decided that because we were going to be lugging this thing around for the next year or so, it wasn’t worth buying cheap. Finally try not to let the temptation of a second hand car seat on eBay lure you in. With no quality checks or guarantees, is it really worth the risk? Plus you don’t know if the seat has any damage from a previous accident affecting the current safety performance of the seat itself. You might think that no one would be heartless enough to sell a damaged car seat online but I’m sure there are people out there that would. Similar to the car seat, as a parent you’re going to be wrestling with any pram you buy for the next couple of years, maybe longer if you keep using it for a second child. (Sorry to scare any men reading this!) Seriously though you’ll need a pram that manoeuvres well, with quality components, will take the weight of shopping bags and most of all will be reliable. In my eyes it’s just not worth buying a cheap pram. It took a lot of convincing from Mrs.B to get me to agree with her on this point but at long last she won me over. Apparently – because toddler’s bones are so malleable – cheaply made or even second hand shoes have the potential to damage the feet and in turn the growth of a young child irreversibly. I’m not saying you have to spend a fortune and fork out for designer brands; I would just avoid the really cheap brands. There are many good UK websites where you can buy kids shoes on sale without having to sacrifice the quality. Talking about the support needed for the bone structure of growing babies, a good quality mattress is something that shouldn’t be overlooked! There are many features that are important to look out for such as being fire resistant, anti-allergenic and one that I feel is vital… waterproof! Also do a bit of research about what kind of supportive filling you want for your baby. Will it be a foam, spring, pocketed or duel core etc. Each one has its features so it’s completely up to you. The key to getting the best value for money on all of the above products is good research! You don’t have to go wild and completely blow your budget, but don’t let the cheap price of an item lure you into buying a bad product. What do you think? Are there any items I’ve missed and what is your experience with the items mentioned above? Is anyone else with me in wondering what the heck a pram is? Is this a baby stroller? I agree with you on the car seat. The plastic does degrade over time (I think most of them have a 3-year life), so buying used could be an issue. I have to disagree on the stroller and the shoes. We find here in the US we can get name brand nike shoes for ~$1-$2 at yard sales in 9/10 condition and strollers that look brand new for $10-$20. Me too! I followed the link and read the entire article. It wasn’t until reading one of the comments that I finally figured it out. If up to me I would put making certain not to buy cheap health insurance. You just don’t know about childbirth. One thing that my wife is big on is the crib that a baby/toddler uses. Used furniture could have coatings on it that are poisonous or harmful to a baby that chews on it, and many cribs have been recalled over the years that you wouldn’t know about if you buy used. Of your list above the only item we have bought brand new is a mattress. Again we have two car seats – his and hers so we don’t have to keep swapping them between cars. Baby shoes – my wife picks up £25 shoes for £2 a pair on ebay. Does my son notice any difference ?????? Of course not……… but he will notice the £100 a month we save into his university fund. I agree. You should buy quality, but this doesn’t mean you should buy brand new. Especially as a lot of children’s goods become obsolete as children grow up! Yeah I’m 6’5 myself so I know that feeling, ours had an extendable handle too which I found really handy. Well I’m all up for a bargain and we’ve bought loads of stuff on eBay but to me there are a few things that I wouldn’t want to risk buying secondhand. Also I took a lot of persuading on the shoes myself and from the link below it does seem that there’s a 50-50 split on opinion about it but after looking into it myself I’m happy to pay that bit extra for new shoes. Not £25 though, that’s a bit dear for my liking. 218,000 pounds? That’s nuts!! Phew, investing in a baby is quite the investment. As for shoes, I’ve wondered if babies really need them. They’re expensive, and are they really necessary for infants? Yeah I was thinking more around Toddler age with the shoes. My boys are 4 and 2, perhaps I should have mentioned that. Yep £218,000 apparently, I know that’s just an average figure but however you look at it kids cost a lot of money. I hope they remember me in my old age! We have a friend who can afford to buy latest gadget but cannot buy his little kid a car seat. We buy shoes for our two kids that are bigger than their actual sizes. We did this in order to use the same shoes at least for two years. While it is always advisable to seek out good bargains, that practice should not be confused with going cheap. And there are some items – such as those on this list – that being cheap with can have negative consequences. I completely agree James, I’ll always look for a bargain but I won’t always buy second hand. There are certainly times where saving money and being frugal is good, but not when it comes to some of the things you mentioned. I don’t know that I agree with the shoes one, because babies typically don’t actually walk in their shoes and if they are walking very young, they are doing so at home. But I definitely agree with the car seat! Yes I was talking more about Toddler age there, when they’re properly up and about. Mrs.B came across some research online that mentioned that because the bones in a Toddlers feet are so supple, it’s best to put them in new shoes and allow the inside of the shoe to mold to the natural bone structure of your child rather than the preformed mold in another child’s shoe. I’ll admit that people will have their own opinion on the research and I was skeptical too but after reading the research, if I didn’t do it and my child grew up with say dodgy knees for example, I’d always wonder if it was my fault for not putting them in new shoes. 1. car seat & stroller – we’re talking safety here and my baby’s life is pretty important to us. 2. cream/shampoo – we bought the best brands (even went to a nearby country for a special cream many swear by). Weird enough, it wasn’t hugely expensive, but it’s indeed very good. 3. Thermometer – there are some cheap versions we could get from the supermarket. We bought one of the best we found and my SIL, who is a pediatrician, gave her OK.
4. Diapers – we’re stocking on Pampers. We have many other options in my country, but we decided to go for these, even if they are really costly, compared to others. We’re choosing disposabile diapers and this brand is the one we trust the most. 5. Sterilizer, bottles etc – anything that has to deal with her feeding is top notch. Cost us quite a bit, but it’s OK. I could have purchased some bottles and pacifiers with 5% of the price maybe from the Chinese stores in my area, but I really don’t even want to imagine what they’re made of. So it’s Avent for us. We won’t buy shoes yet, since we don’t need them, but we’ll have leather only shoes, even if they’re more costly. Yes, shoe quality is something important, even for ourselves. If we don’t purchase any junk, my daughter will surely not have to wear bad shoes. We’re not that hung up on clothing (though the mattress, covers etc will be of the best quality), as long as it’s 100% cotton. We have purchased some more expensive stuff, but also the clothing you can find on the ‘regular’ stores here, as long as, again, it’s 100% cotton. Interest article! I would definitely buy a used car seat, shoes and possibly a mattress. There are good deals to be found! Beyond that, I would buy shoes at Walmart for my kid. I buy them for myself and think they are a great value. I wish I could comment on Walmart shoes but being in the UK it’s a bit tough. We do have ASDA though which I’m pretty sure is owned by WalMart and they sell some great quality kids stuff. I thought I’d join in the heated discussion. Ha! In our case, we’ve gotten by with a fairly inexpensive pram/stroller (now onto our second child) and it does the trick. For car seats, there are plenty of legislation/restrictions on those here in Canada – and they all now come with expiry dates, so I would avoid used, unless it’s fairly new. I definitely agree with you on having a good mattress. But obviously parents will always have differing opinions on everything you buy. I remember friends telling me not to bother with a baby monitor – it was a waste of money and I swore by that thing, especially nights when my daughter went into high fever. To me it’s a safety item. But nobody’s right or wrong. I think you can definitely afford to spend more on the few items that are most important to you, if you learn how to cut back or do without the items that are not. Ha, I know. Really wasn’t expecting that. That’s the beauty of blogging though, everyone has their own opinion. I think you’re point about the baby monitor says it all, you can listen to everyone under the sun but in the end you have to do what’s important to you. I don’t have kids yet so no experience here! Haha. Once I do thought I agree with you totally that those items should be the best quality I can afford. We bought new car seats, strollers, toys, mattresses, and shoes for our children. We also spent the extra money to get the best quality we could find. I just can’t see saving a few dollars and buying something that could be unsafe. I feel the same way Paul. I’m all for being frugal but some things deserve a little more budget allocation. Thanks for chipping in! Great little post. I knew what a Pram was because we live in Belgium. The one thing I would say is it may be worth looking a good friends and family offering a second hand Pram/Stroller when you know the history. This can save a lot of money – same for the car seat. As new bloggers just getting into our debt repayment and new financial life plus trying for a baby it is really nice to read. I agree completely with these things you would not buy on the cheap. The most of these things are safety related and therefore important to make sure the quality is to a high standard. I agree with wanting the best quality products for your kids. Safety should always come first. Thanks for this great article.